If you have particular muscle tension or chronic pain a remedial massage may be for you. The treatment itself may involve deep tissue work for short periods of time, but the results are definitely worth it! A bodywork technique that involves the application of pressure to tender muscle tissue in order to relieve pain and dysfunction both at the site of the trigger point as well as referred pain. Prepares for optimum performance and helps prevent injuries. Pregnancy massage eases muscular discomforts and cramps. Great for physical problems,including sports injuries and chronic pain. If you’re looking for a massage in Auckland, the team at Revival Massage Therapy offer a range of beneficial massage treatments designed to effectively treat acute muscle tension, chronic pain, stress, pregnancy related discomfort as well as your general wellness needs. Located in Te Atatu Peninsula, West Auckland, the dedicated team specialise in remedial massage, deep tissue work, sports and pregnancy massage as well as trigger point therapy. At Revival Massage Therapy we strive to deliver the best massage experience with highly trained massage therapists. Our therapists continue to upgrade their skills with further training so they can serve you better. Our commitment is to keep learning new techniques, to remain open and interested in new learnings made available to us and to continue our work with other natural health practitioners. In doing so, we will ensure you are getting the right sort of treatment and massage experience every single time you are on our table. If you have particular muscle tension or chronic pain a remedial massage may be for you.​ Remedial Massage therapy is the hands on manipulation of soft tissues of the body including muscles, connective tissues, tendons, ligaments and joints and can be used to alleviate both acute and chronic conditions. Sports massage therapy is geared toward athletes of every kind, from world-class professionals to weekend joggers. … Athletes have discovered that specially designed sports massage promotes flexibility, reduces fatigue, improves endurance, helps prevent injuries and prepares their body and mind for optimal performance. If used as part of a regular program relaxation massage is very effective in reducing stress, both emotional and physical. Oxygen flow is increased in the blood and releases toxins from the muscles. The light to medium pressure helps relieve stress, reduce pain, boost mood and promote relaxation. Myofascial Cupping is a technique used to promote nutrient-rich blood flow to areas, rapidly releasing tight muscles and fascia by pulling it up and away from underlying structures using plastic or silicon suction cups , bringing fresh blood to the area and loosening tissue adhesions. Cupping can leave suction marks which do fade over the coming days. Meet Viv, the owner of Revival Massage Therapy. 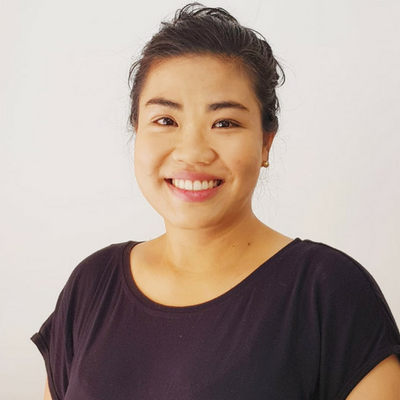 Viv is a talented massage therapist who doesn’t shy away from a challenge; be it a stubborn knot, pulled muscle or the build-up of tension from stresses at home or work. Viv is a massage detective, helping people solve the riddle of where their discomfort truly lies, and then working her magic to free people from pain. If you find yourself suffering from ongoing headaches, or tension in the upper back, neck and shoulders, Viv would love to work with you. She relishes a challenge and brings a wealth of knowledge to the table. She is currently in her 4th year of training in The Feldenkrais Method® and combines her decade of knowledge and experience in the Massage Therapy field with teaching movement and awareness to create possibilities for new neural pathways and changes in lifelong movement patterns. She loves working with clients to help them better understand how awareness of their day to day movement is affecting them and how having different movement options could serve them better and help them to manage and alleviate pain. Robyn loves helping those in pain find comfort and relief through massage, she is a wonderfully skilled therapist and with over 16 years Remedial massage experience, she really has a knack for isolating points of stress in the body and working these areas effectively to treat pain and tension. Robyn thrives on working with people dealing with chronic or acute stress and is extremely talented at working intuitively with her clients to calm their nervous system to help reduce their stress levels as well as effectively treat the symptoms that go along with it such as neck and shoulder tension, back pain or reduced movement. Robyn will make you feel great on the table, through relaxation massage or through targeted work on tight or stressed muscles due to postural reasons. 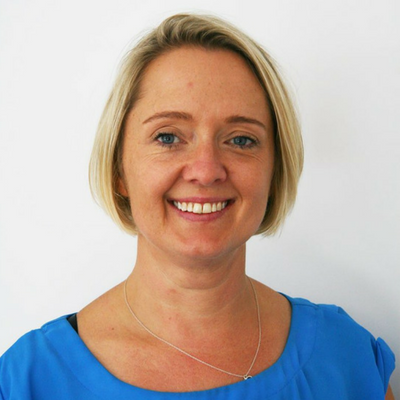 If you wish to get some control over how you manage stress, stiffness and pain in your body, then Robyn is the therapist for you. She will ensure you get off the massage table equipped with information that will help you ease future discomfort at home or work or manage your ongoing stress levels . She is driven by the idea of whole body health and wellness and is always ready to offer some tips on how to improve your physical or mental health so that you get the most out of your massage session. 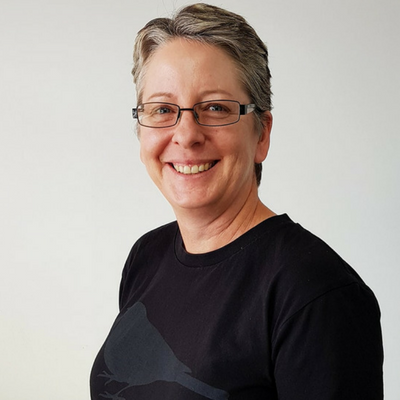 Clare is a talented and empathetic massage therapist who loves working with trigger points as a way to alleviate muscular pain. Her friendly disposition ensures you feel relaxed and rested on the massage table, and her skilled approach to massage therapy will help you identify true points of pain in your body. If you want the worries of the world to melt away, a relaxation massage with Clare could be just the ticket. She loves incorporating a relaxing component to all of her massages and her healing hands will effectively treat tension and discomfort associated with repetitive office work, or simply the stresses of modern life. Clare is also enjoying incorporating hot stones into some of her treatments so if you would like to try this at your next session let her know. Clare seeks out points of dysfunction within your body and then strives to remedy the grief these tight knots may be giving you. If you want to rediscover true freedom of movement, book in to see Clare today. My first time at Revival Massage and I was blown away by Clare’s massage techniques, she is absolutely AMAZING and has a beautiful energy, highly professional and made me feel comfortable right from when I walked in. Thank you Clare. I am addicted to my sessions with Robyn! I’ve had back issues for a long time and tried Osteopaths, chiropractors and ‘Mall Massages’. After visiting the doctor about headaches and being told to try professional massage, I popped into Revival to check it out. It’s the best thing I’ve done for my back! Robyn is a highly professional Massage Therapist. Her friendly and engaging personality immediately puts you at ease, and she takes great interest in medical history and body issues so she can target problems correctly. Robyn is totally focused on healing, always ready to refer a client on if necessary. Since starting massage, my body feels less tense and tight, more relaxed and I have improved flexibility. I am addicted to my sessions with Robyn and would highly recommend her to anyone with back issues, willing to try an alternative to manipulation techniques. is suddenly pleasant again! I would recommend a massage with Viv to anyone suffering muscle tension from being stuck at the desk all day- she is tops! Robyn is a highly experienced and knowledgeable therapist! Like many older people I have ongoing issues resulting from sporting and other injuries, incurred years ago. On and off, over the last 20 years, I have seen many medical and allied health professionals, none who have been able to provide a long term solution. However over a year ago I began seeing Robyn who has worked, with me, to manage my condition and ensure that I can continue to lead a full life. Robyn is a highly experienced and knowledgeable therapist who takes a holistic approach to her practice and has a genuine concern for her clients. I had my massage from Viv – the owner of Revival, she put me at ease right away with her friendly personality and not only tailored the massage to my stress points (shoulders and neck from too much time at the computer) but gave me tips for ways to ease stress points myself as well. She takes a holistic approach and while providing immediate relief, takes a long term view to health and wellbeing – her therapy is not just a band aid! I would recommend Revival unreservedly. Revival Massage fixes me every time! I am a yoga teacher and so looking after my body is paramount to my job. Regular massage is key to this but it is also much more. If I am feeling tired, sore, lacking energy or even have a particular injury having a massage with Viv has fixed me every time. I am so grateful for their knowledge, energy and genuine care. Thank you! My husband and I know we always get a great massage at revival. The booking system is very easy to use . I always leave feeling so much better. Just had a super massage at Revival, my therapist had great manner and a good strong massage. great hire! She has a lovely way about her and super strong, she showed me some stretches as well. She’s a keeper! Far less joint stiffness and muscle relief! I recently visited Rea at Revival Massage Therapy hoping for some relief from tight and aching upper back and neck muscles that were impacting on my sleep, movement and general well being. As I have aged, the years of spinal and neck manipulations had left my back stiff and my muscles tight and achy. I wasn’t having too many comfortable days or nights. Rea’s massage has given me far less joint stiffness and muscle relief. I am regaining much more movement and mobility in these locked up areas with less discomfort. I Sleep so much better. Rea’s positive belief that massage plays a huge part in healing your body and her total overall holistic individual approach has bought a very positive improvement to my general well being and the physical ‘wear & tear’ conditions that were affecting me daily. I have no hesitation in recommending Rea , an excellent therapist dedicated to the integrity of the benefit of massage. Revival Massage Therapy is easy to get to for your massage in Auckland. Our clients in Central and West Auckland as well as the North Shore also find us easy to get to being so close to the North Western Motorway and Major Public Transport routes.